easyCar offers hundreds of cars for rental across the U.K, offering cheap car rental from various airports throughout the UK. There are several negative customer reviews about easyCar ‘s services on the internet, so do a bit of research before you book. 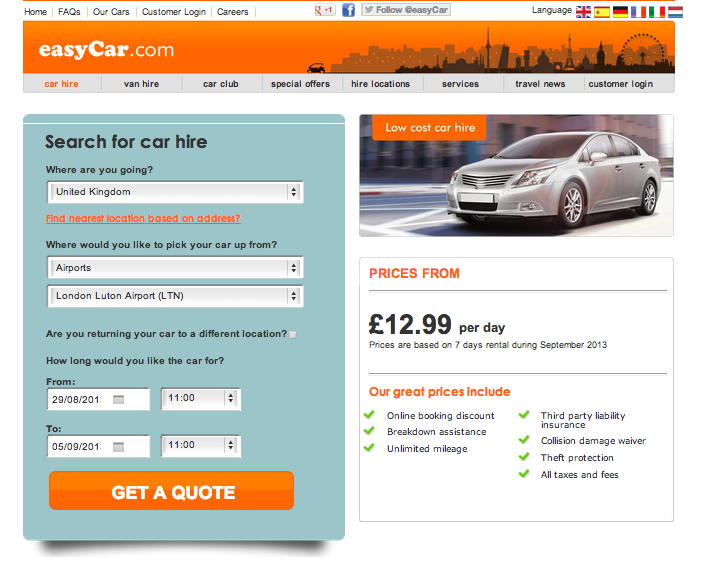 While easyCar certainly offer a cheap and easy way to rent cars almost anywhere, with a wide variety of cars to choose from and seemingly good offers across the board, the sheer amount of bad reviews by customers suggests this might be one to stay away from- with bad customer service, frequent charges for damage that the renter didn’t incur, and long waits, it might be best to check out their competitors first.